There are various gifts can be purchased in Asakusa. For example, Japanese traditional crafts such as hand towel and Edokiriko, local-limited merchandises collaborated with some character can be easily gotten there. In addition, the merchandises unique to Asakusa that said to be a City of Craftsman are also popular among a lot of tourists. Today, we will introduce these popular and recommendable merchandise for the foreign tourists that can be purchased at Asakusa to you. Maizuru Flagship Store is located in Kappa Bridge where a lot of craftsman shops are standing in a low. It is old food sample shop that has 70 years history. They has kept the popularity even in present days and often be taken up by TV and the magazine. The reason why they are so popular is its high quality stuffs. There are not a few tourist who purchase them for gift. 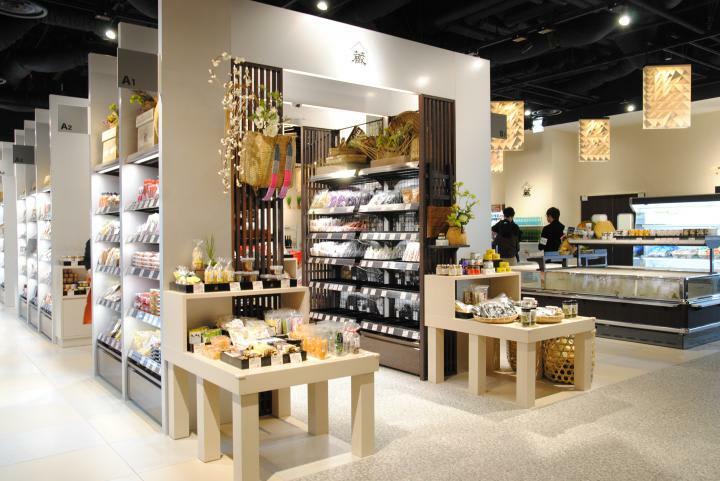 Though there are some food sample shops, we are going to introduce Maizuru Flagship Store to you today. There are thousands of merchandises displayed in the store, such as smart phone stand and case, key holder, magnet, watch samples in the form of Sushi and Pasta, Soft Ice-cream and Cake etc. It is too many kinds of designs and merchandises to decide which to purchase. In addition, each samples are all handmade. So some samples would need 2 weeks to be made. We do not get tired of watching these Japanese master craftsmanship. The popular sample such as「Sushi Watch」is in the situation that supplies are not able to keep up with the demand. 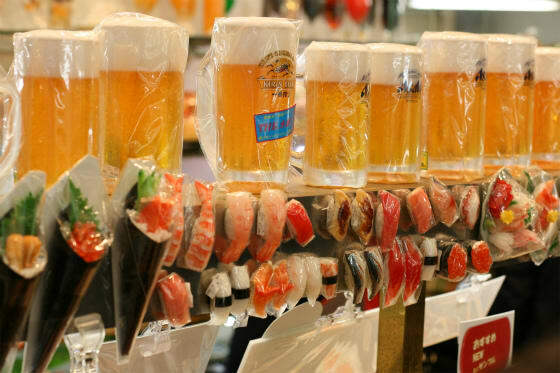 It seems that small Sushi and Macaron are popular for female high school students, and beer jug for foreign travelers. These high quality sample goods could be said in a sense to be「This is Japanese Gift」. Let’s check them when you come to Asakusa. 「Inujirushi Kaban Seisakujo」is the historic canvas bag shop located in Asakusa. They manage the bag and accessary workshop for the clients and also has a sales store for the general customers. 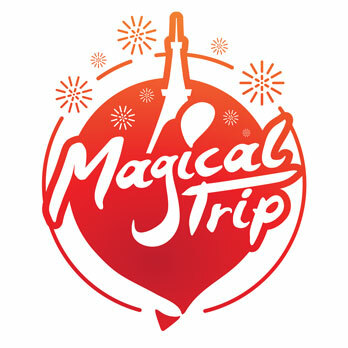 It is very popular among Japanese and foreign tourists helped by the location, the central of Asakusa. These bags made very carefully to all the details has attracted a lot of fans over the generations. This could be said as Japanese master craftsmanship. 「Inujirushi」products are mainly made of canvas and by handmade. The canvas is originally proposed for working uniform. It is also the best material for the bag that is required to be very strong. The canvas used in present Inujirushi bags are from Takashima city in Shiga. It is said that this canvas has been improved up to the best standard for its strength, weight, color, by going through trial and error over and over again. By the way, canvas has the degrees of thickness from 1 to 11.「Inujirushi」mainly use No.6, it is usually used for industry. They dye it in dyeing factory and process their original water-repellent finishing. In that way,「Inujirushi」product is created with original texture. These materials and technics with special attention will make you feel the high standard of this town. Let’s have an experience in person. 2 min walk from「Asakusa」station on Tobuisezaki line. 2 min walk from「Asakusa」station on Tokyo Metro Ginza line. 2 min walk from「Asakusa」station on Toeichikatetsu Asakusa line. There is the institution in Asakusa that introduce Japanese tradition and food culture, product culture comes from all over Japan. They are handling the Japanese local specialties that is good but not so famous yet in Japan. Recently, this is becoming the hot spot for foreign tourists as the place where we can eat, see, and buy the Japanese culture. They wish that we become fan of local Japan again, and go for a trip there. It has 4 floors. The first floor is food area that directly delivered from the farm, the second floor is commodities area that is made by local traditional crafts, the 3rd floor is the information area mainly about Travel Contact, and the 4th floor is the restaurant. As many as 50 shops is included in this institution and about half of them used to be only in the local place in Japan. There is the event space「Osusumefurusato」in the institution. Prepared about 3m of depth and width booth, 17 cities of Japan display and sell their specialties and traditional crafts. Some unique municipalities such as Sumoto city in Hyogo located in central of Awaji Island, Nishimeya village in Aomori that is the City of the world heritage, Shirogami Mountain and has 1432 population are attend this institution. This might be the wonderful opportunity of encounter new Japan for you. Besides, there are many merchandises made with new sensitivity of young craftsman working on traditional crafts, and with old company’s idea in「NIPPON Lifestyle Market Warai」. There are also beauty merchandises like skin-care goods and Chinese medicine that is good for woman, and the footbath for free. You should go and find the place you want to go in Japan here. 1 min walk from「Asakusa」station by Tsukuba Express. 7 min walk from「Asakusa」station on Tobu Sky Tree line. 7 min walk from「Asakusa」station on Tokyo Metro Ginza line. 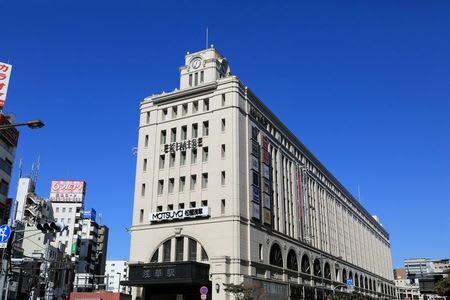 Asakusa station Bldg has been renovated into its original appearance in 1931, and inside of 4th to 7th floor as well. The fashion shop, life variety shop, restaurant, the amount of 52 shops set up the shops there. The concept of this「Asakusa Platform (The place where people could have a relation with something)」. It is the place where the foreign tourists visiting Asakusa and even local people feel like to stop by in everyday life. There are also some gift shops that make you feel “Japanese atmosphere”. Tobu Properties set up the Sumo shop「Kokakuka」and Hokkaido Shop「Hokkaido Gorogoro」. In addition, Japanese variety shop「Kyoto Kurochiku」,「Kyoto Tachikichi」, Imabari Towel shop「Imabari Gokujo Shukiniori」, Canvas bag「Hinomoto Honuno」are lined up there. There are also 100-yen store. This 100-yen store has a characteristic that they are handling Japanese variety goods as Asakusa-original. In addition, they also set the observation deck that help you get the whole view of the Tokyo Sky Tree, and「Asakusa Hare Terrace」where you can rest there, and a commemorative photo space against the Sky Tree. There are restaurants on 7th floor where you can have delicious dishes. It should be good for you to rest there for strolling. Some days have different business hours. Connected to「Asakusa station」on Tobu Sky Tree line. 1 min walk from「Asakusa station」on Tokyo Metro Ginza line. 3 min walk from「Asakusa station」on Toei Chikatetsu Asakusa line. Kawahara Shoten is rare shop that handling the food stuff in Kappabashi Equipment Town where a lot of equipment stores are located. It is originally snacks wholesale merchant but general customers can purchase their snacks as well. It has been established since 3rd year of Showa period, and has been changed with the times. Nowadays they provide toys, Ice Cream, Japanese confectionery stuffs, drink, food stuffs aside of snacks. 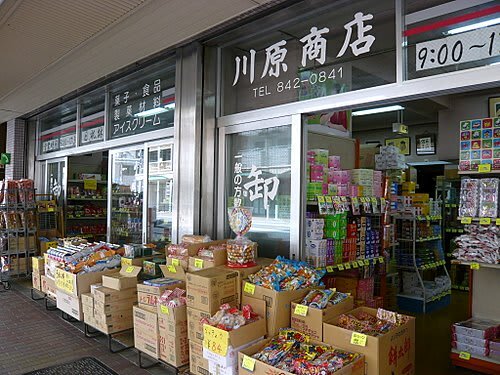 Although the store is handling mainly the cheap snacks, you can purchase them in bulk differ to the small snack store in the city. It is good when you are thinking about the gift for many friends. Here you could buy the snacks in bulk that you were not able to do in your childhood. The interior of the store remind us of old and retro shop. Some posters on the wall and the snack boxes are also as old as you might have seen them when you were a child. There are many kinds of snacks are displayed such as UMAIBO that can be bought in every convenience store, and the oldest snack「Ueda no Ankodama」(661 yen) is also popular one. Ueda no Ankodama has been the top long-seller since as old as 1929. This nostalgic atmosphere is enjoyable even for the person who doesn’t know the old age so much. 8 min walk from「Asakusa」station by Tsukuba Express.